First of all, if you’re recently engaged and reading this – Congratulations! This is going to be such an exciting time in your life as you prepare to spend forever with the one whom your soul loves. Your wedding day is the day that you’ve been waiting for since you were little playing wedding with a white princess play-gown and a pillowcase veil hanging from the back of your head. Let me tell you, wedding planning is the most fun experience. I mean, why else would I love getting to do it for a living? Trust me, I totally get it. You’ve dreamed about this day for as long as you can remember and can’t imagine anyone but yourself planning it. You want to make the decisions, and you want it to go your way. I’ll be honest, I was the same way when I planned my own wedding. 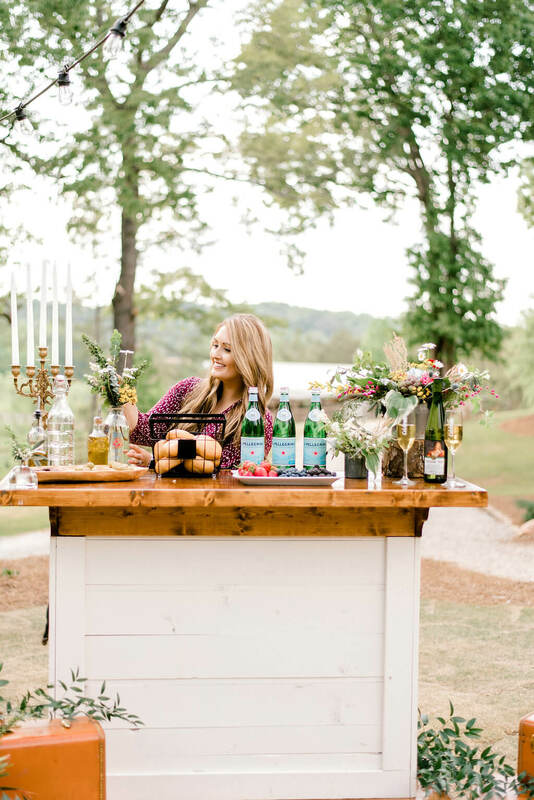 Many brides, whether it be for financial reasons or their love for everything Pinterest taught them about DIY, decide to plan their own weddings. While planning your own wedding is not a bad thing, it’s no simple feat. 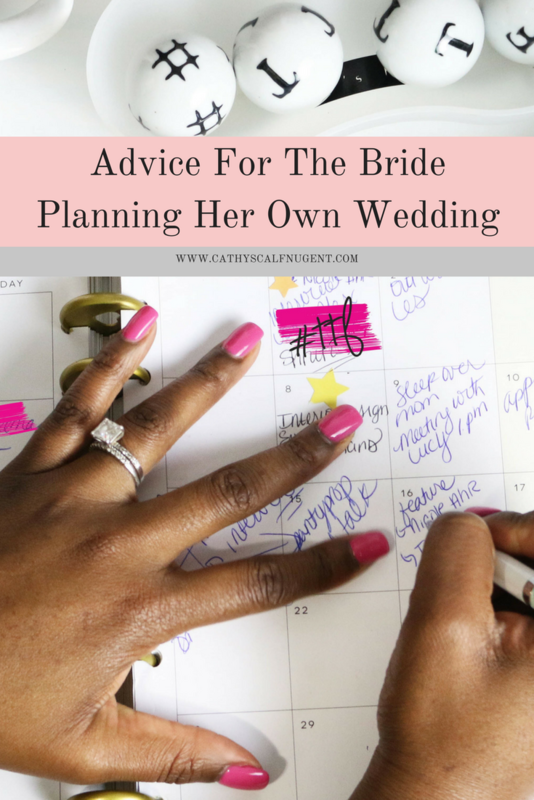 So, if you’re deciding to plan your own wedding without a full service wedding planner, I’ve got some advice for you. It’s no secret that planning your wedding is like a full time job in itself. Not to mention, today’s brides are only getting busier and busier. However, many brides think getting engaged is a prescription for a stressful time to come. But, it doesn’t have to be stressful! Wedding planning is one of those things that is what you make it to be. You don’t have to let planning a wedding consume your whole life. Make yourself a timeline, and do a little at a time. It’s that simple. Everyone has an opinion, and you can’t try to schedule things around everyone else’s schedules. Frankly, you just won’t get anything done this way. What is most important is that you do what is best for you and your fiance. It’s YOUR big day, not Aunt Sue’s! Budget is like the awful four letter word of wedding planning. It’s the thing that everyone needs to have but no one wants to play with. Your wedding budget should be one of the first, if not the first, conversations that you have after you decide it’s time to start planning your wedding. But remember, bigger doesn’t always mean better! Be smart, do your research, and don’t get sucked in by the hidden costs of planning your wedding. Brides are getting busier and busier between their careers, going to school, and everything else life has to bring. I tell every bride-to-be the same thing. No matter how much you think you can do it all, you probably can’t. If you do, you’re bound to be stressed out and forget to enjoy your own engagement. It’s okay to have help. Get your family or your bridal party involved! Turn your living room DIY session into a wine and tapas night with your girls. Not only will you be getting stuff done, you’ll be having fun rather than crying alone from stress. (Don’t tell me I’m not accurate!) Plus, you’ll have a fun memory with your friends to look back on. A lot of brides get frustrated because their fiance isn’t as interested in helping with the wedding planning. Did you notice how I started that sentence? That means you’re not alone! You know what else? It’s okay! Just because your fiance is not interested in linen colors, floral arrangements, and stationary doesn’t mean that your future together is doomed. Just remember that guys haven’t exactly been dreaming about the wedding day like we have our whole lives. To be honest, it’s a mistake to not hire a full-service wedding planner for your wedding. In fact, 96.5% of couples that don’t hire a wedding planner actually wish they would have. Unfortunately, by that time, it’s already too late. However, I totally get that you may want to plan it yourself. But, like I tell all my brides, it’s impossible to both direct and star in your big day. My advice? At least save room in your budget for a day-of coordinator. It’s perfectly okay to have professional help on the day-of. In fact, you’ll have a much better wedding day experience if you do! Thats why most wedding planners, like myself, offer day-of coordination packages in addition to our full-service packages. You want to be able to enjoy your wedding day, right? 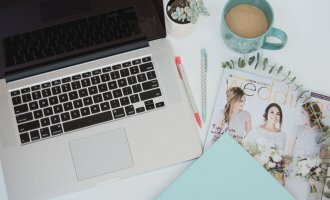 While being the whip that makes sure your vendors are in shape when it comes to coordinating on the day of the wedding, wedding planners also make sure your bridal party sticks to the schedule so you don’t have to track down your eleven bridesmaids that you’re totally regretting by the day-of. They make sure that everyone is exactly where they are suppose to be, and helps the night progress like a well oiled machine so that you’re not wondering how exactly you ran out of time for the bouquet and garter tosses before your DJ packs up and leaves. Not to mention, who wants to be on the phone coordinating with vendors arriving while they’re trying to get their hair and make-up done? Who wants to be worried about making sure the reception goes on schedule while they’re dancing the night away with their friends? I guess in a way wedding planners could also be known as a sheep herder. Read more about why you should hire a wedding planner, here. If you only take one piece of advice away from this blog post, I hope it’s this one. Please, oh please, sweet baby Jesus. Just listen to me. Forgetting what’s really important is the biggest mistake that could be made when planning your wedding. 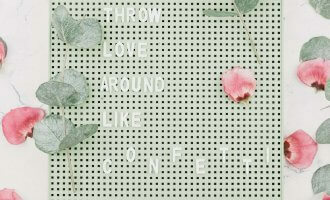 (Read more about the biggest wedding planning mistakes you’ll make, here.) 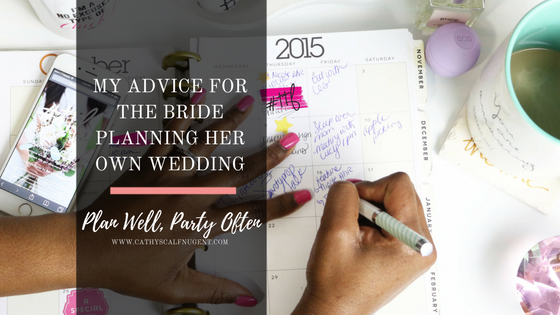 Too many times brides get caught up in all the wedding planning. They forget what this season of their life is truly about: marrying the one whom their whole being loves! When you’re getting stressed over smaller details, remember that this all wouldn’t be happening without that special person. Your engagement is a happy journey for you to take together. Don’t let it be spoiled by things that don’t truly matter in the end! Regardless of how your wedding planning journey goes, the most important thing is that you enjoy the journey and keep sight on what the whole journey is about. Remember the reason why you’re planning this wedding in the first place – you’re getting married! OMGosh! I love that you mention it’s okay if the groom isn’t helping. I think every bride struggles with this. It’s so true that just because he’s not into the details of the day, doesn’t mean he isn’t excited about getting married! I planned my own wedding. Even though it was “stressful” I found it to be just as stressful as planning any party. I think the points you mentioned above were spot on! Yes!! love all of these points. I just got married in April and it was a DIY wedding completely (I wasn’t working at the time, so I could plan everything/make everything) but HIGHLY recommend getting a day of coordinator. That’s something that I didn’t do because I thought that my family could handle the tasks…big mistake haha! love that you have that in here. I completely agree with the DIY tip! I did not have the patience to DIY my chalkboards so I outsourced those to a pro and they turned out much better than I would have ever done. I agree that it’s ok to ask for help! I will have a wedding coordinator for my big day, and I really don’t know how I could manage without that. I want to be able to enjoy my wedding and not stress during the ceremony and reception. This has been so helpful! I’m planning my wedding for next October and can use all the advice I can find! Day of support is so essential! I’m glad you recommend it! I’ve coordinated a few weddings and the brides always seem less stressed than the ones who don’t have any support. Yes! Unfortunately there’s a really high number of people that say they wish they would have had a wedding planner’s help (if they didn’t have one) on their wedding day. I think it’s super important to secure one so you can actually sit back, relax, and enjoy your wedding day! Planning my own wedding has been so stressful! 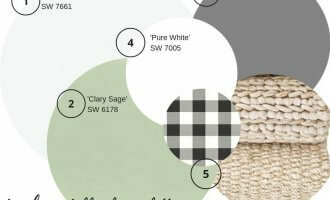 I figured I’d want to DIY a lot of things, but I was so wrong! This is very valuable advice for future reference. However, I have helped plan weddings before, and always struggle with advice since I’ve never been down the aisle myself. What wonderful tips and advice, I will make sure to pin it for future reference. I need to send this to my cousin! She is planning her own wedding and is soooo beyond stressed! Awh, Caitlin! I am sorry to hear that your cousin is so stressed planning her own wedding. I think a lot of times brides can get over their heads so fast – especially if they’ve never planned something like a wedding before. Best wishes to her, and let her know I’ve got so much more when it comes to tips and advice on my blog! These are all great tips! I never would have thought to hire a day of coordinator, but I can see how that would be so helpful and help reduce stress. Also, love the last tip! I think sometimes people get so focused on the wedding and all the details. The most important part of the wedding is marrying the person you love and celebrating that union. Thank you, Crystal! I’m so glad that you enjoyed the post. 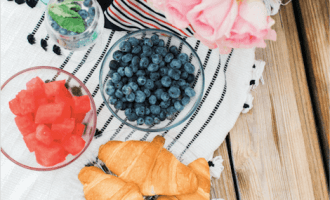 I think hiring a day-of coordinator is a great compromise for a bride wanting to plan her big day while still getting the chance to actually enjoy it on the day-of. 🙂 And, yes! The last tip is definitely the most important! It makes me so sad to see people lose sight of that.